Do you live in a home without a chimney? Has your son or daughter ever asked the question, "how does Santa Claus get in?" Are you looking for a holiday book that is different from the usual stories? Would you like to teach your child about architecture? Then this is the book for you! "Santa Claus is an Architect" is the tale of a six-year-old girl named Diana who lives in a high-rise building in the middle of a big city. Diana is desperately worried that Santa Claus will not be able to find a way into her apartment. Little does she know that he has a second job - a secret job - that teaches him how to do just that: He is an architect! In his time off, Santa learns about buildings from all over the world, he makes models, he draws floor plans. He does all of these things so that he can figure out exactly how to get in and leave a present. 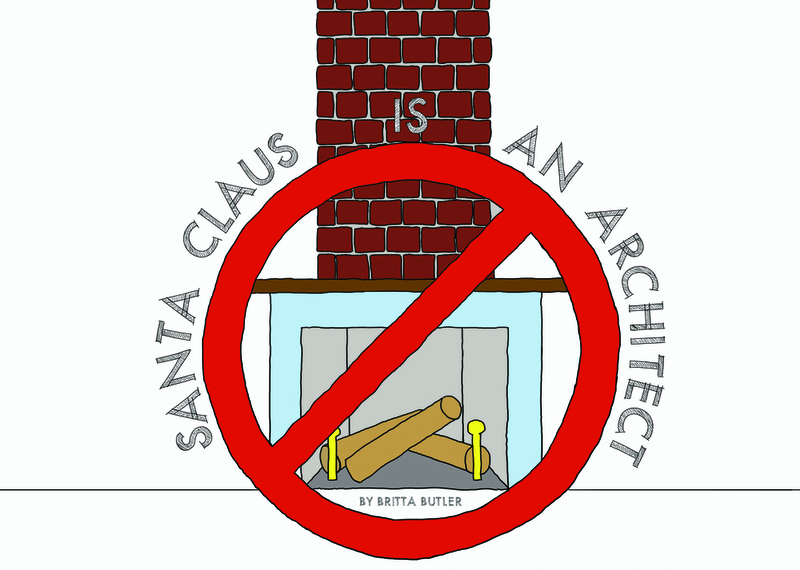 "Santa Claus is an Architect" is a delightful, original tale that will answer your child's burning questions, show them a few things about design, and keep you chuckling while reading to them.